Uses mathematical and statistical techniques to extract trends from chemical analysis. Introduces scientists to powerful new tools that will allow them to obtain massive amounts of data from computer-controlled instrumentation and then extract the information they need. Chapter sequence leads the reader through a sample analysis to resolution and pattern recognition. First introductory text on the relatively new field. 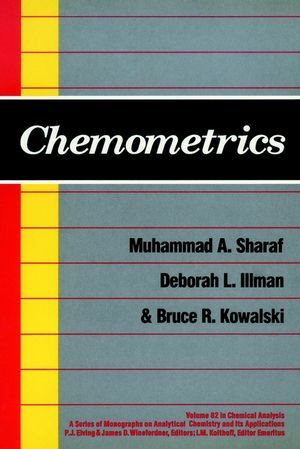 Muhammad A. Sharaf and Deborah L. Illman are the authors of Chemometrics, published by Wiley. Fundamentals of Experimental Design and Optimization. An Introduction to Control and Optimization.